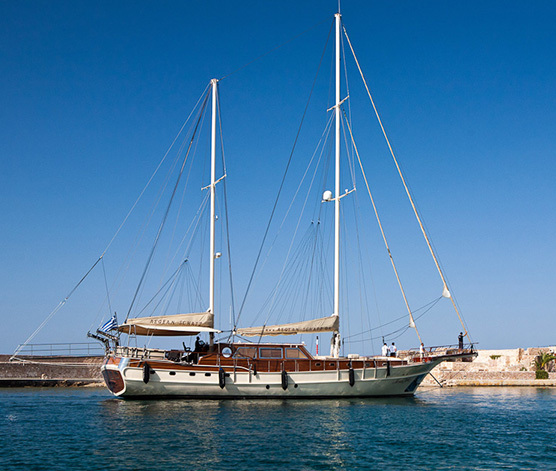 Fully crewed Motor Sailer LIANA H rental, available for exclusive yacht charter in Greece, the best sailing holidays & vacation in the Greek Islands, sail from destination to destination, and cruising in comfort at your leisure. 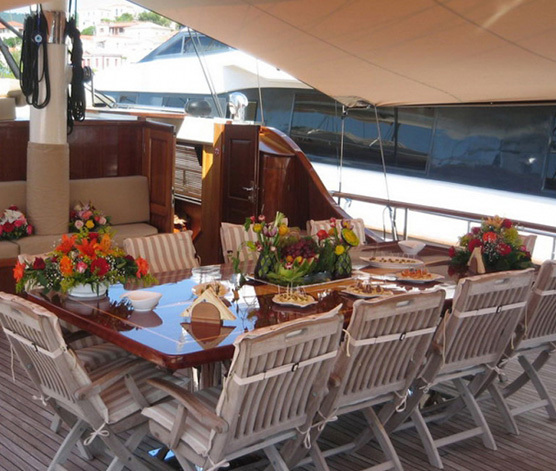 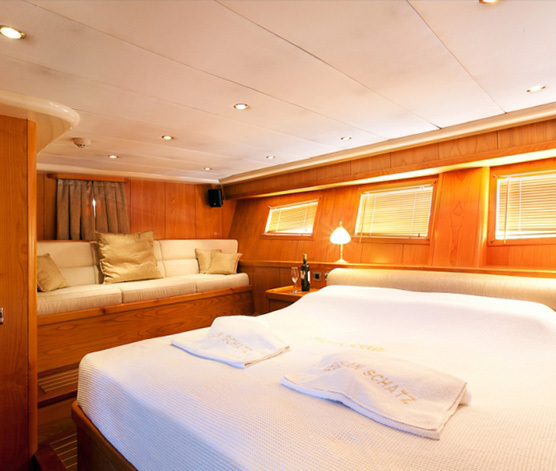 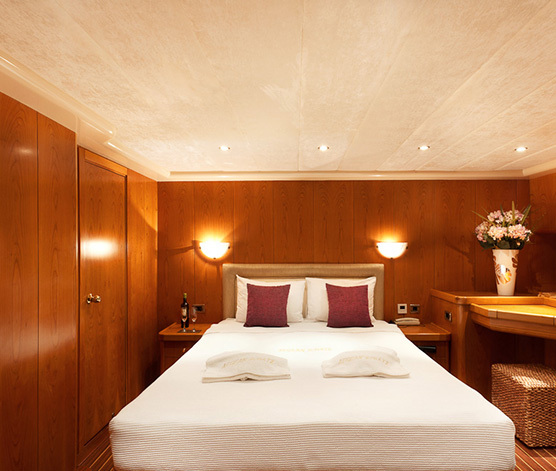 LIANA H charter yacht comfortably accommodates twelve guests in five cabins: The Master cabin takes the full width of the yacht with king size double bed, desk, sofa, satellite TV, DVD, VCR, MP3 and en suite facilities. 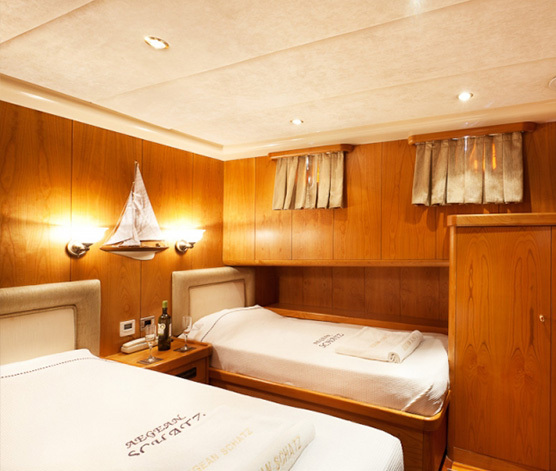 One double bedded cabin with one single bed too and en suite facilities Two cabins with one double bed, one upper single bed and en suite facilities. 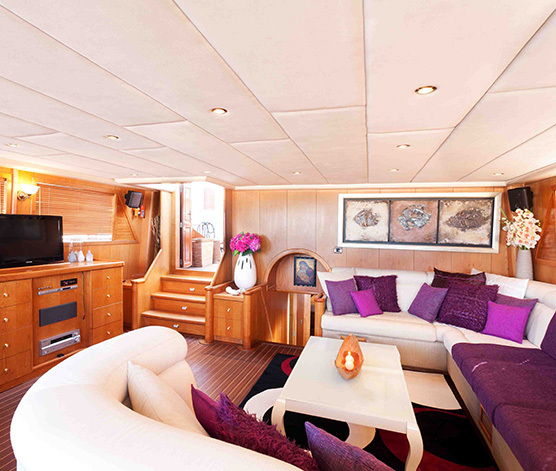 All cabins are equipped with with individual CD/cassette/MP3/Radio stereo. 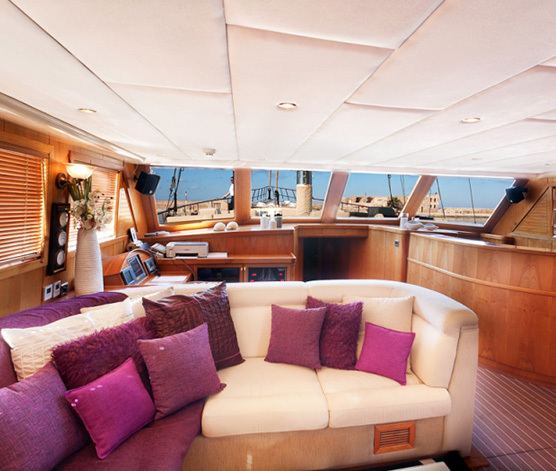 A crew of four are accommodated in separate quarters.